Ashland University students are encouraged to attend the OFIC CareerFest, an annual career fair in Columbus, Ohio. CareerFest will provide students the opportunity to meet with over 100 organizations, including businesses, corporations, non-profit groups, government agencies, and graduate schools. 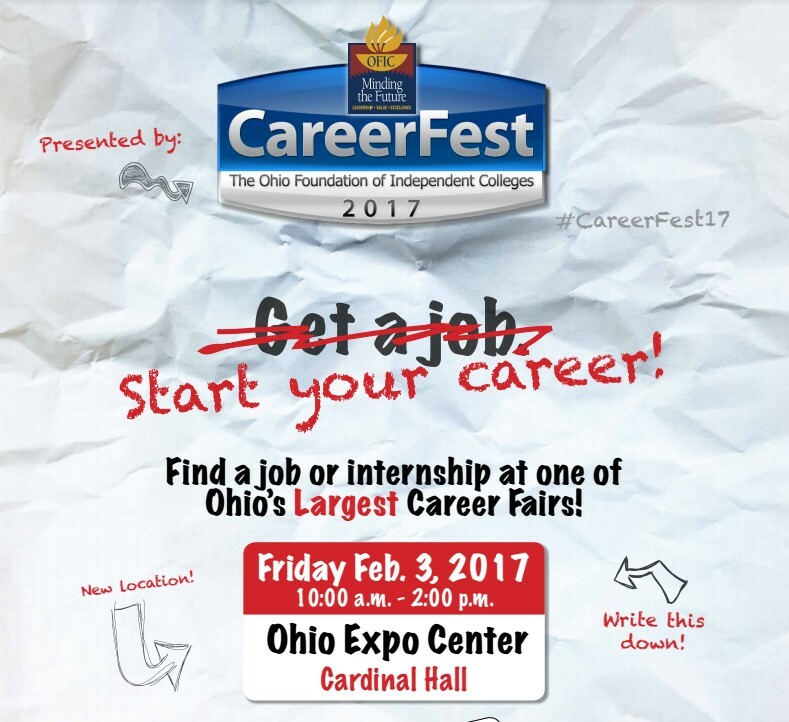 Students can register online at the OFIC CareerFest website. Online registration includes the option to submit a resume with registration. If students choose to upload a resume, that resume will be shared with all employers attending the event. The OFIC 2017 Guidebook is now available - view attending employers as well as the descriptions of the jobs they have available in the guidebook! Free transportation is available! Register for the bus!